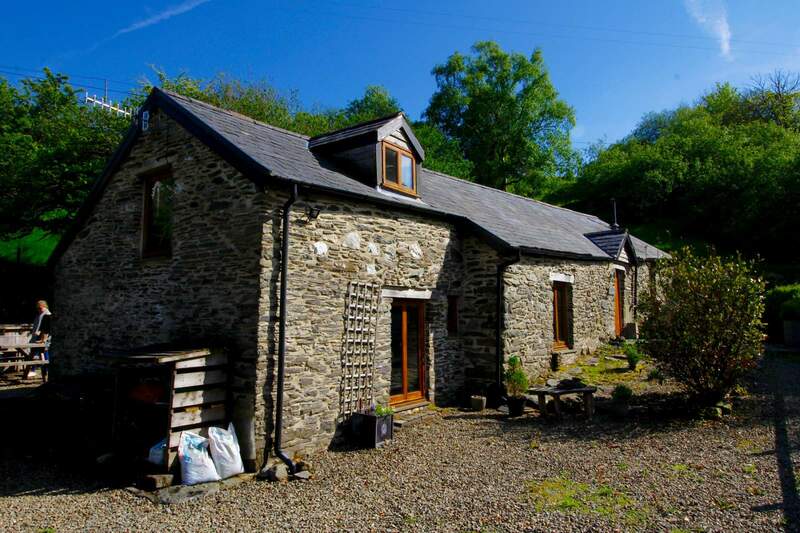 Cyfiau Bach* is a luxury converted barn in Devil’s Bridge (Pontarfynach), Wales, available for self-catering holiday rental. A short drive from the coastal university town of Aberystwyth, the barn is the ideal base for exploring the surrounding Rheidol Valley and the towns and coastline of Ceredigion. The barn sleeps six people in three bedrooms (two double, one twin), and has been finished to a high specification with a stylish, modern interior. Outside is a deck area, perfect for enjoying the spectacular mountain view, or gazing up at the stars. Inside, a wood-burning stove provides a warm focus for getting cosy in the colder months. Nearby there are ample opportunities for a range of activities, such as walking, cycling, mountain biking, birdwatching and fishing. Visitors from all four corners of the globe return year after year, finding Cyfiau Bach a peaceful retreat. We hope you will find the barn as welcoming as they do. Click on The Barn for more information on the barn’s facilities and some more pictures. Devil’s Bridge will give you more information on the village, while Explore Further features some of our favourite attractions further afield. Go to Booking to find practical information on renting out the barn, and to check on availability.